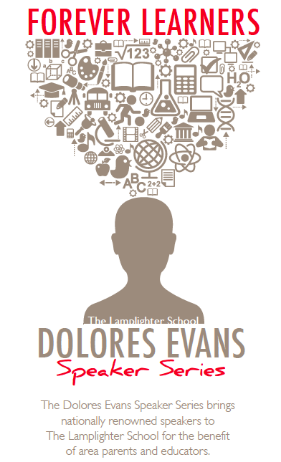 The Dolores Evans Speaker Series is a unique program that The Lamplighter School offers to its parents, faculty, and staff, as well as the broader Dallas community. Each year, The Lamplighter School hosts one or two events to bring thought leaders to our campus as part of the series. Save the date for the 2019-2020 Dolores Evans Speaker Series event: Monday, November 11, 2019 at 7:00 p.m. Speaker to be announced August 2019.